Successful companies and managers have understood the need for adhering to their respective dresses. Outfits do affect much more than merely the appearance of your work personnel. In fact, it can also help in progression of the overall level of productivity and work ethics. There are enough reasons for companies to opt for integrating corporate uniform. And those reasons also uphold the effectiveness of these outfits for your business. Hence when you are running a company or are an employee you need to be aware of the tons of benefits these outfits offer to their users. In numerous industries, it is expected that the employees of that organization wear corporate uniforms. This tends to be a common norm where the workforce would require dealing directly with clients and customers. When the workers have the same uniform, they appear more friendly and approachable and as well as eagerness to help. This way achieving customer service goals gets easier. As a business manager or owner, you sure would understand the importance of your business’ corporate image. If there is no specialized corporate image or if the company is not reputed, accomplishing expansion and following the expansion strategy can turn out being a tough call. 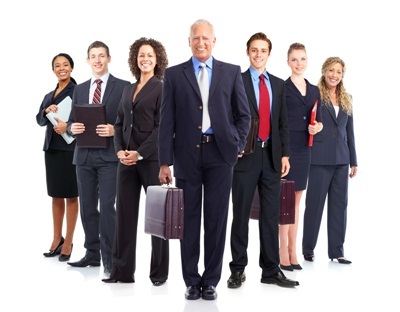 With the help of a professional dress, your employees will appear as a team of experts working together. It will even help in building a corporate image which is vital for taking your business ahead. With similar outfits, you will build a feeling of tightness and a sense of equality. Even though this might turn out being tough for you to believe, if an individual employee is dressed above other team members, then it can affect in a negative way. This can harm the motivational level of others in the team. When every worker has the same uniform, this threat does not exist anymore. Hence it spreads the sense of equality. This way the level of motivation of everyone in the team is unchanged and unaffected. Since everyone working will consider their colleagues as a part of the team, their focus will move from the area of personal growth to overall progress of the team. A workplace outfit does very much help in encouraging the idea of a team’s unity. And thus the team works together as a single force. It can also help your squad to gain synergy by due to an effective flow of work.